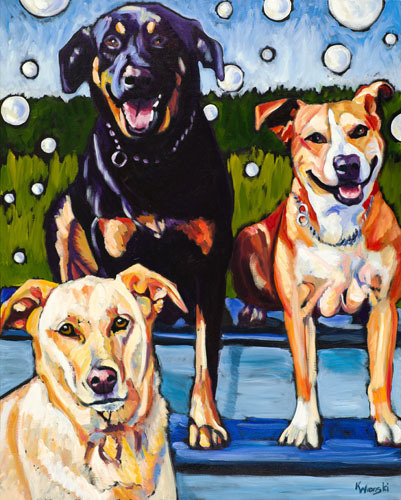 Custom Pet Portraits are available in many sizes. Normally the smallest size I like to work is a 12 x 12 canvas. There is no limit on how large. I love to see some photos from you and then suggest what will work well and recommend a canvas shape - square, horizontal or vertical.